The primary objective of the anti-HCV therapy is the elimination of the virus, in order to obtain a non-detectable viremia for 24 weeks after the end of therapy. The secondary objectives are the preservation of the liver histology and function, stopping the fibrosis process, and the healing of extra hepatic events. 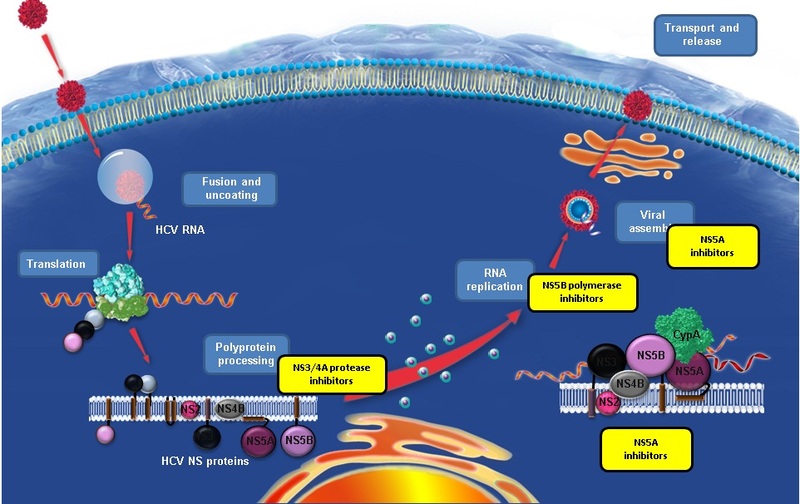 RVR (Rapid Virologic Response): undetectable hepatitis C virus (HCV) RNA at week 4.
eRVR (Extended Rapid Virologic Response): HCV RNA <10-15 IU/ml at weeks 4 and 12. EVR (Early Virologic Response): ≥ 2 log 10 reduction from baseline HCV RNA, but virus remains detectable (partial EVR) or is undetectable (complete EVR) at week 12. DVR (Delayed Virologic Response): more than 2 log10 decline in HCV RNA concentration but a detectable HCV RNA level at week 12 and an undetectable HCV RNA level at week 24. SVR (Sustained Virological Response): undetectable HCV RNA at 24 weeks after treatment completion. Null Response: reduction in HCV RNA < 2 log10 IU / ml after 12 weeks of treatment. Partial Response: reduction in HCV RNA> 2 log10 IU / ml after 12 weeks of therapy but positive at 12 and 24 weeks. Relapse: undetectable viremia during treatment and/or at the end of treatment, but subsequent viremia following treatment cessation. ETR (End of Treatment Response): Undetectable HCV RNA at end of treatment. Breakthrough: Undetectable HCV RNA during treatment, but subsequent viremia before the end of therapy. The "standard of care" therapy for HCV infection involves the administration of ribavirin (RBV), combined with pegylated interferon-α (pegINF-α). These drugs are characterized by a “broad spectrum” of effectiveness, because they act through the depletion of purine pool (RBV) and the enhancement of immune response (pegINF-α). It’s the first drug used for the treatment of hepatitis C and has been, for a long time, the only treatment available. It’s an immuno-modulator also produced endogenously that has effect on adaptive immunity and especially on the innate immune system (major histocompatibility complex production, RNase, proteasomes and facilitation of apoptosis). Thanks to the "pegylation", the conjugation to a chain of polyethylene glycol, half-life is increased, making a once-per-week administration possible (Structural and biologic characterization of pegylated recombinant IFN-alpha2b. 2001). There are two forms of interferonα, 2a and 2b: they differ in terms of excretion (hepatobiliar the first and renal the second) and for small differences in efficacy (the second seems slightly more effective). The response to interferon alpha is modulated by several genetic factors, first of all SNPs (Single Nucleotide Polymorphisms) of the IL28B gene (rs8099917 and rs12979860), encoding the interferon-λ. New SNPs in the same locus correlated with response are rs7248668 and rs4803221 (Identification of improved IL28B SNPs and haplotypes for prediction of drug response in treatment of hepatitis C using massively parallel sequencing in a cross-sectional European cohort. 2011). Identified in 1970, is a guanosine nucleoside analogue (the chemical name is 1-β-D-ribofuranosyl-1,2,4-triazole-3-carbossiamide). p((. RBV enters in the cells as a prodrug, and is then converted in the 5'-monophosphate (RMP), adenosine diphosphate (RDP) and triphosphate (RTP)forms thanks to the sequential activity of three cellular kinases. The RMP inhibits the inosine-monophosphate dehydrogenase (IMPDH, involved in the synthesis of purine bases), causing a decrease in intracellular GMP pools, and then slowing down the synthesis of nucleic acids, both viral and cellular. RTP, instead, is able to inhibit the activity of the RNA-dependent RNA polymerase and the enzyme responsible for the RNA 5'capping. Also causes the production of defective virions since the enzyme, not being able to discriminate RTP by GTP, can cause alteration of the genoma. Moreover, RBV causes an increase in the production of Th1 cytokines, particularly interferon-γ, contributing in this way to inhibit the production of virions, promote the lysis of infected hepatocytes, inhibit the neoplastic transformation and down-regulate the hepatic fibrogenesis. These mechanisms may act synergistically and be the cause of the great versatility of RBV. Thanks to a wider knowledge of the replicative cycle of the virus, new drugs defined " Direct-Acting antiviral Agents " ( DAA) have been developed. The majority of these molecules have reached the end of Phase III clinical trials and are currently awaiting approval. Conversely, Boceprevir and Telaprevir were approved by the FDA (Food and Drug Administration) in 2011 for the treatment of HCV genotype 1 infected patients. 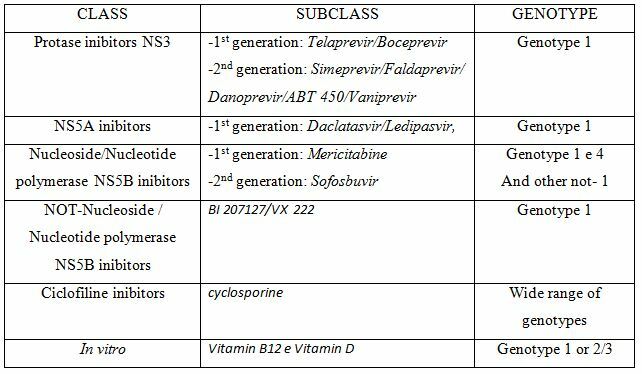 In addition, Sofosbuvir has been approved in several countries and has already obtained market authorization in Europe. In recent years the development of new drugs for the treatment of hepatitis C, has introduced the triple therapy. Since the approval of the first DAAs, Telaprevir and Boceprevir, part of the class of serine protease NS3 inhibitors, triple therapy has become the "new standard-of-care" for the treatment of HCV genotype 1: it consists in the co-administration of one of the two DAAS with pegIFN and RBV. It consists in a combination of pegINF-α and RBV with BOC or TEL. In this case, the therapeutic approach is even more difficult because of the combination of different molecules that, could interact each other in a direct or indirect way causing very serious adverse events that could lead to discontinuation of the treatment. This new strategy shows a significant increase in SVR: from 40% for patients treated with the dual, to about 70-80% with the new therapy both for those who are undergoing therapy for the first time (naïve), as well as for relapsers (Hepatitis C virus protease inhibitor-resistance mutations: our experience and review. 2013). It is capable to bind covalently but reversibly the protease active site (Ser139) using aketoamidic functional group, and, even if it’s able to perform its inhibitory action by it self, is more effective in combination with the two compounds of the dual therapy. Boceprevir is a combination of two diastereoisomers: SCH-534128 (active isomer, S) and SCH-534129 (inactive isomer, R), which differ in the stereochemical configuration at the third atom of carbon at the ketoamidic end of the molecule; in plasma, there is a rapid conversion between the two isomers with the formation of the active form being double compared to the inactive isomer. Absorption:after oral ingestion, the peak concentration occurs after 2 hours (Tmax); when taking the recommended dose (800 mg three times per day depending on body weight), steady state is achieved within a single day. The absorption of the drug increases when taken with meals, regardless the fat content of these, but decreases if BOC is taken in high doses (more than 800 mg). Distribution:The mean volume of distribution is approximately 772 liters at steady state in healthy individuals. Plasma protein binding, however, is about 75% after a single 800 mg dose. Metabolism: modulated by Aldo-keto reductase (AKR) and CYP3A4 / 5; metabolites obtained after activity of the first enzyme are the most abundant, but inactive against HCV. Furthermore, it is also a substrate of P-glycoprotein. Excretion: the half-life is 3-4 hours, while the average clearance is about 161 L / hr. The major way of elimination is through the liver (~ 80%), although a small portion is excreted through the kidneys (~ 10%). A small percentage, however, is excreted in an unmodified form: ~ 8% in the faeces and 3% in the urine. Α-ketoamidepeptidomimetic inhibitor, selective for the NS3-4A protease. Like Boceprevir, it binds covalently and reversibly to the enzyme's active site serine. It is a single stereoisomer, but is able to epimerize spontaneously in vitro and in vivo; the balance between the two molecules in solution is approximately 60:40 S: R,and R has low pharmacological activity (about thirty times less than S). Absorbtion: the maximum plasma concentration (C max) is reached 4-5 hours after a single dose; multiple doses of TEL (750 mg every 8 hours) in combination with pegIFN-α and RBV in naive patients result in a mean Cmax of 3510 ng/mL. Its systemic exposure is higher when associated with the other two drugs, than when administered alone. Fat meals increase its absorption. Distribution: the apparent volume of distribution is estimated around 252L, with an inter-individual variability of 72%. Approximately 59-76% is bound to plasma proteins (mainly α-1-acid glycoprotein and albumin). Metabolism: hepatic, through hydroxylation, reduction and oxidationreactions, metabolites detectable in plasma, urine and faeces are formed. The major metabolites are: R-diastereomer of TEL (30 times less active), pyrazinoic acid, and an inactive compound derived from the reduction of the α-ketoamidicbinding. Excretion: the mean half-life after a single dose is 4-5 hours, while the steady-state is about 9-11 hours. The apparent total clearance is estimated around 32.4L/h, with an inter-individual variability of 27.2%. Mechanisms of elimination are through faeces (approximately 82%), expired air (9%) and urine (1%). ATP-binding cassette (ABC): it is the largest family of transmembrane proteins that bind ATP and use the energy obtained to modulate the transport of various molecules in all cell membranes, characterized by ATP binding domains, known as “NBF folds” (Nucleotide ATP Binding folds). These pumps are primarily unidirectional. In eukaryotes, the majority of ABC proteins transport compounds from the cytoplasm to the extracellular side or in compartments (endoplasmic reticulum, mitochondria, peroxisomes) and work as transporters or“halftransporters” forming homodimers or heterodimers. These genes are widely dispersed in the genome and are highly conserved between species (Complete characterization of the human ABC gene family. 2001). P-Glycoprotein: encoded by ABCB1 gene (or MDR1) on chromosome 7. It’s pump that allows the efflux of numerous endogenous substrates and xenobiotics.This transporter is expressed in many tissues (including hepatocytes and kidney tubule cells), therefore, appears to play a key role in the excretion of various substances through urine, bile and intestinal lumen. ABCG: These half-transporters are expressed in the placenta, in the apical membrane of enterocytes, hepatocytes and renal tubular cells, in the blood-brain and blood-testis barriers and in hematopoietic precursors and other stem cells.Higher expression of this class is observable in breast cancer and in particular in tumors resistant to treatment with chemotherapeutic agents. From in vitro studies, TEL risulted to be an inducer of ABCG2 (encoded by the ABCG2 gene located on chromosome 4) (Telaprevir is a substrate and moderate inhibitor of P-glycoprotein, a strong inductor of ABCG2, but not an activator of PXR in vitro. 2014). BSEP: encoded by the ABCB11 gene on chromosome 2, it is also known as sPgp ("sister of P-glycoprotein"). This pump represents the primary mode of efflux of bile salts; it is also target of numerous metabolites and endogenous hormones as well as mediators of inflammation and various drugs. In literature, there are no data reported about the interaction of this transporter with TEL or BOC, however the activity of BSEP is often closely related to that of P-glycoprotein. OATP (Organic Anion Transporting Polypeptides): In vitro studies show that BOC is a weak inhibitor of OATP1B1 (In vitro assessment of drug-drug interaction potential of boceprevir associated with drug metabolizing enzymes and transporters. 2013) whereas TEL seems to be and inhibitor of OATP1B1, OATP1B3 and OATP2B1. MATE (Multidrug and toxinextrusion protein): TEL resulted to be a MATE1 inhibitor (SLC47A1 gene, chromosome 17), although this has a marginal clinical significance (Interaction of the antiviral drug telaprevir with renal and hepatic drug transporters. 2012). OCT (Organic cation transporter): In vitro, TEL shows a significant inhibitory effect on molecules that are substrates of OCT2, but the action on this specific transporter is yet to be well investigated (Interaction of the antiviral drug telaprevir with renal and hepatic drug transporters. 2012). CYP450, it is particularly involved in the metabolism of TEL. AKR (Aldo Keto Reductase), it is the main mechanism of degradation of the BOC (Characterization of human liver enzymes involved in the biotransformation of boceprevir, a hepatitis C virus protease inhibitor. 2011). The introduction of new tools against infections has emphasized new issues as well, such as the dose optimization to get the best results with the fewest side effects and to avoid selection of new drug-resistant strains. Answers to these questions are coming from three scientific disciplines relatively young, pharmacodynamics, pharmacokinetics and pharmacogenetics. Since the concentration of the drug is rarely measurable in its site of activity, the Therapeutic Drug Monitoring (TDM) in plasma plays a crucial role: it is based on the determination of the plasma concentration of the drug in patients undergoing therapy, in order to monitor some factors that are classically difficult to control, such as the "compliance" of the patient and/or interactions between multiple drugs. It is moreover useful for particular conditions such as pregnancy. When we talk about anti-HCV drugs, in pharmacokinetic studies, plasma (or serum) pharmacokinetic parameters are assessed, while it is known that anti-HCV agents are primarily active inside the hepatocyte and not in plasma. Hepatocytes, however, do not represent an easily accessible biological matrix and we tend to assume that globally, there is a correlation between concentrations at the site of activity and in plasma, and hence changes in plasma concentrations will result in more or less similar changes inside the hepatocyte. For all DAAs, correlations have been found between plasma concentrations and HCV RNA decline after the start of treatment (Rapid decline of viral RNA in hepatitis C patients treated with VX-950: a phase Ib, placebo-controlled, randomized study. 2006). Thus, the assumption that plasma concentrations are a surrogate for levels inside the hepatocyte appears valid so far. However, in individual patients, there could be a ‘‘mismatch’’ between plasma and hepatocyte concentrations, for instance caused by genetic polymorphisms in uptake or efflux transporters present on the cell membrane of the hepatocyte. Another example of a mismatch could be for nucleoside analogues that are activated intracellularly to triphosphates: plasma concentrations of the parent compound may not always be related to intracellular concentrations of the triphosphate. For these reasons, dosing these molecules in PBMCs (Peripheral blood mononuclear cells), beside being innovative, could allow a better understanding of their pharmacokinetics and show how they behave in a cellular matrix that is probably more similar to their site of action (or in some cases PBMCs are the site of action themselves). 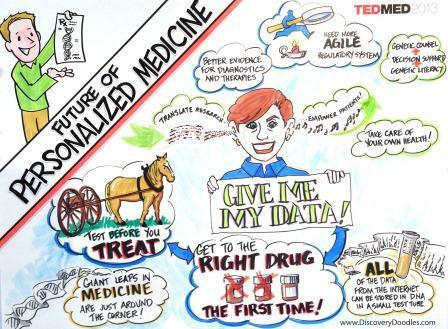 In fact, more and more studies show it to be a better matrix for therapeutic drug monitoring. While for many biological matrices, the extraction process is well-established and follows precise guidelines, for PBMC there are many discrepancies between the various studies produced to date that highlight the need for standardization. PBMCs extraction: samples must be immediately available in the laboratory and there must be maximum an hour between sampling, isolation and extraction stages. The washing step is crucial and must be at 4oC. Also other publication show that using Lymphoprep instead of Ficoll-Paque gives some advantage in terms of repeatability and ease of use for the operators. Cell count: In most studies cells are determined on a small aliquot with a Coulter Counter, or using a Malassez cell and a microscope. However this last procedure may suffer from insufficient accuracy and precision. The concentration is therefore expressed as amounts per 16 cells and can be converted in amount per volume on the approximation that the PBMC volume is 0.4 pL in order to compare intracellular and plasma concentrations. The accuracy of this volume may be questionable as it varies according to the state of the cells (quiescent or stimulated) or to the nature of the cells (cell volume of human lymphoblast : 2.1 pL). This highlights the pitfalls of the conversion, and that’s why measuring the mean corpuscular volume (MCV) for each patient/sample, during PBMC separation, could compensate for inter-individual variability of corpuscular volume evaluation (A HPLC-MS method for the simultaneous quantification of fourteen antiretroviral agents in peripheral blood mononuclear cell of HIV infected patients optimized using medium corpuscular volume evaluation. 2011). Loss of drug during extraction: before discussing this aspect, it is important to remember that every drug has different characteristics that lead the molecules to be linked to the membrane or in the cytoplasm in free form or linked to proteins. Whatever the location, these molecules could be lost during cell preparation and extraction, so it could be very relevant and useful to quantify the washing solution after extraction in order to have a more precise and less unbiased data. In our laboratory is to be validated and published an UPLC-MS/MS method for the quantification of TEL and BOC in PBMC matrix using the new instrument for SPE-online, in order to obtain pharmacokinetics data from patients undergoing triple therapy. From preliminar data, BOC and TEL quantification in PBMCs showed in more then 10 patients undergoing triple therapy, a prevalence of the active isomers than the non-active ones (TEL-R and BOC-R). This peculiar result shows that these drugs in a cellular matrix, behave differently from plasma. In fact , plasma quantifications show both isomers in patients undergoing triple therapy, contrariwise to PBMCs. Trasporters and enzymes involved in these drugs' ADME could have some different action on the isomers bringing these differencies in the two matrices. This result can lead to many hints, such as if plasma is a right surrogate for hepatocytes, and if PBMCs TDM could be a better choice. Moreover, genetic data from these patients could explain better the molecular basis of this phenomena, leading to interesting futher studies.